Bringing you the latest advancements in aerial application, agronomy and crop protection. Jonair (1988) Ltd. is owned and operated by Bryan Dion and Dave Frisch — your true independent. 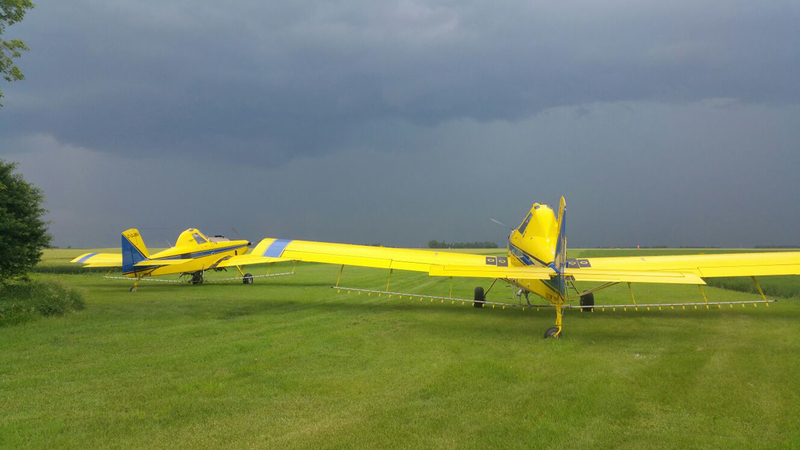 Based in Portage la Prairie, Manitoba, Jonair provides aerial applications to growers in Manitoba and Saskatchewan. Also, as part of a consortium, the company applies crop protection products to forests in Eastern Canada. 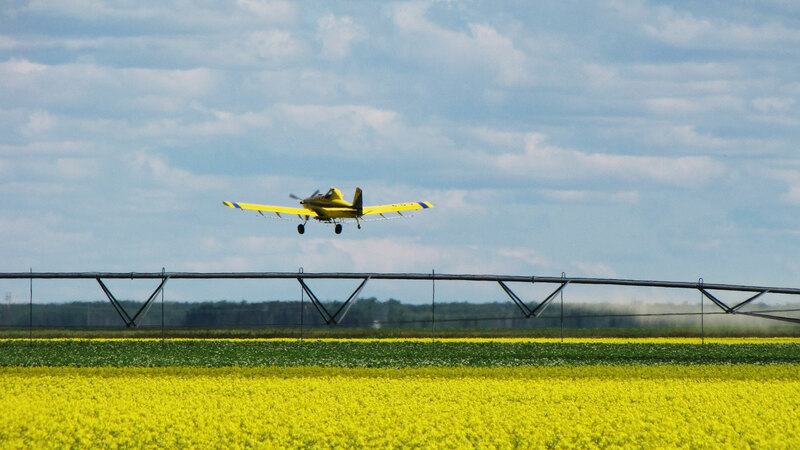 Our Ag pilots are highly trained professionals who hold commercial pilot licenses and provincial pesticide applicator licenses. They also offer over 100 years of combined service in the industry. Our agronomists and pilots strive to maintain the most up-to-date knowledge of legislation, pesticide hazards and safe working procedures. Jonair is proud to work with local growers and proud to support local community activities, sports teams and charities. Bryan has 18 years experience at Jonair and over 20 years in the agricultural field. He has a Diploma in Agriculture from the University of Manitoba, is a Certified Crop Advisor, and a member of the Manitoba Aerial Applicator's Association (MAAA) and Canadian Aerial Applicators Association (CAAA). Bryan grew up on a dairy and grain farm, which enables him to connect with today's growers. Dave started flying in 1999 and has been in flight ever since. His commitment to Ag piloting began at Jonair in 2001, and he still provides the best possible aerial applications. 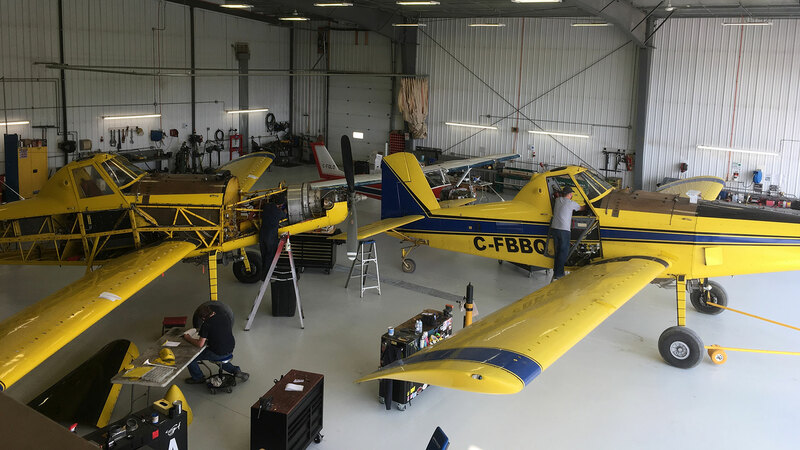 Dave is actively involved in the Manitoba Aerial Applicators Association (MAAA), the Canadian Aerial Applicators Association (CAAA), and is a member of the National Agricultural Aviation Association (NAAA). 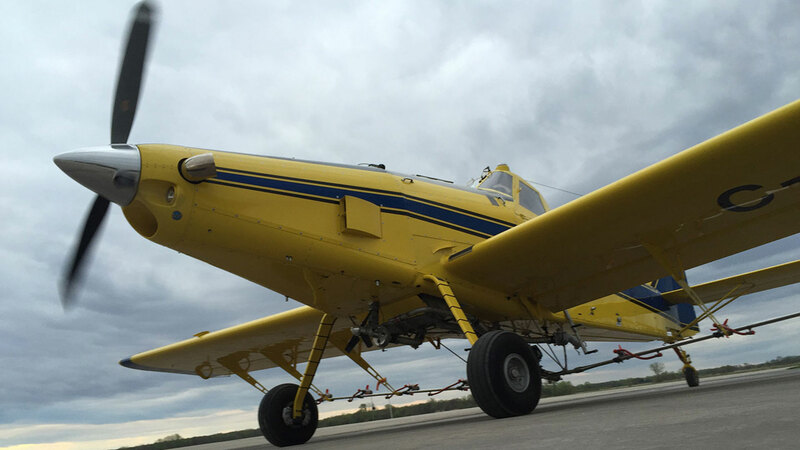 Since 1988, Jonair has delivered advanced aerial application services to satisfied growers across Manitoba and Saskatchewan. Because many products are only useful at specific pest and crop growth stages, Jonair applies crop protection products in a timely and efficient manner. 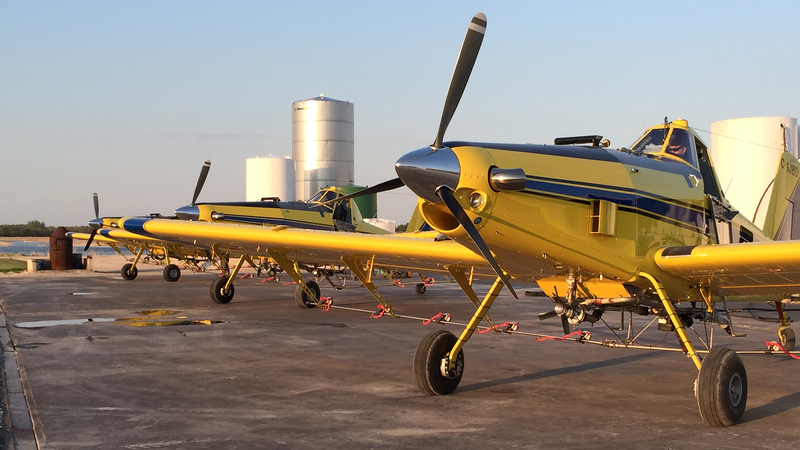 Our fleet of Air Tractors services large areas quickly, treating crops faster — which is critical for disease and pest control — and spraying more acres per day than ground machines. 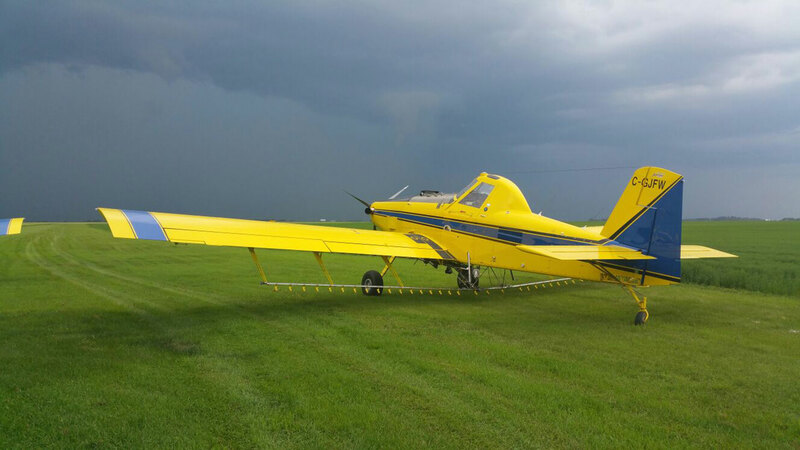 Aerial application pays for itself and puts more money in a grower's pocket. 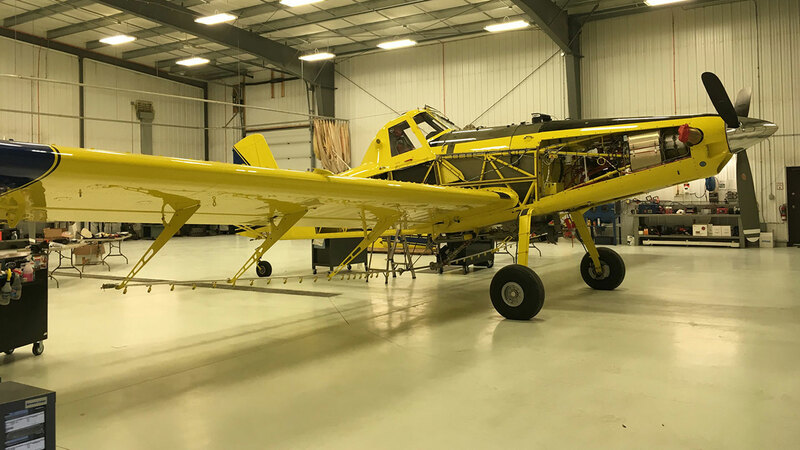 At 500-gallon capacity, this fast and efficient aircraft boasts state of the art Satloc GPS and advanced nozzle technology that helps ensure the practical application of product on crops and pests. This implementation allows for field navigation accuracy to less than a foot and application rate accuracy to 0.1 gallons per acre. 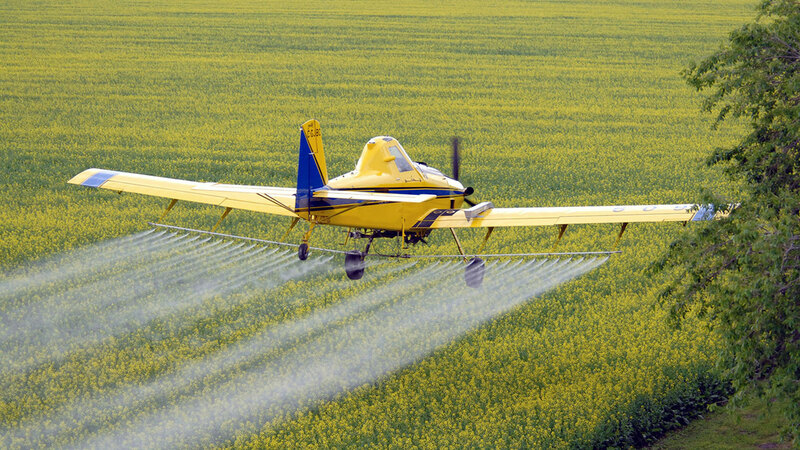 Today's agricultural aircraft use sophisticated precision application equipment, such as GPS (global positioning systems), GIS (geographical information systems), real-time meteorological systems, variable-rate flow control valves, single-boom shutoff valves, and smokers to identify wind speed and direction. One of the most apparent advantages of aerial application is zero soil compaction. Ground equipment driven through fields leaves wheel tracks and compacts soil particles. This invasive activity reduces pore space and restricts oxygen and water movement into and through the soil and root zone. Compaction can be particularly harmful on wet ground, sometimes making the soil hard and reducing yields. Wet soils will never stop aerial applicators from spraying. Moving ground equipment through a field also inevitably damages the crop — sometimes up to five percent of the plants. That damage can reduce crop yield much more than the cost of an aerial application. 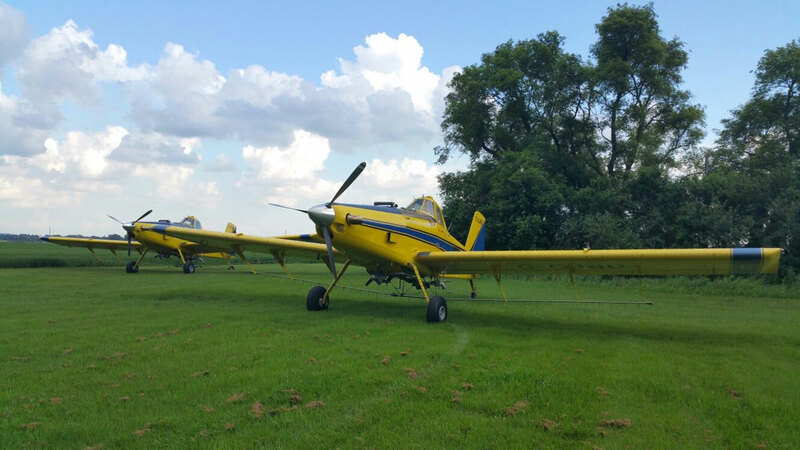 Aerial applications also reduce the risk of diseases like club root from spreading field to field. 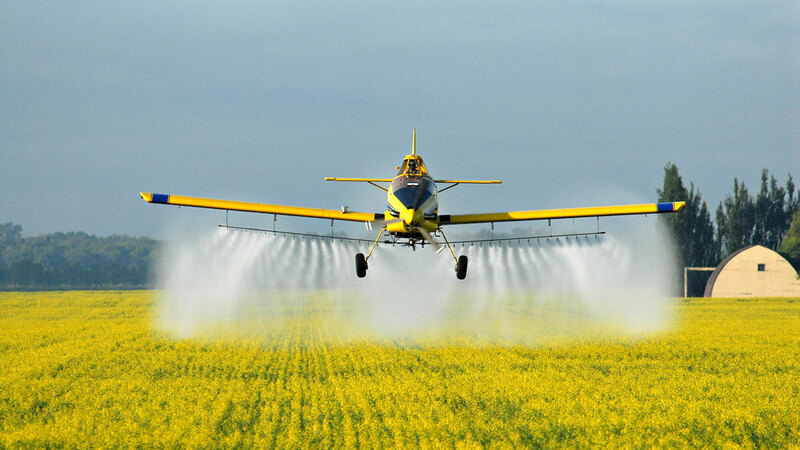 In addition to agricultural aerial applications, Jonair also protects forests and controls health-threatening pests. Outbreaks of eastern spruce budworm occur regularly in the boreal, Great Lakes and Acadian forest regions of Eastern Canada. 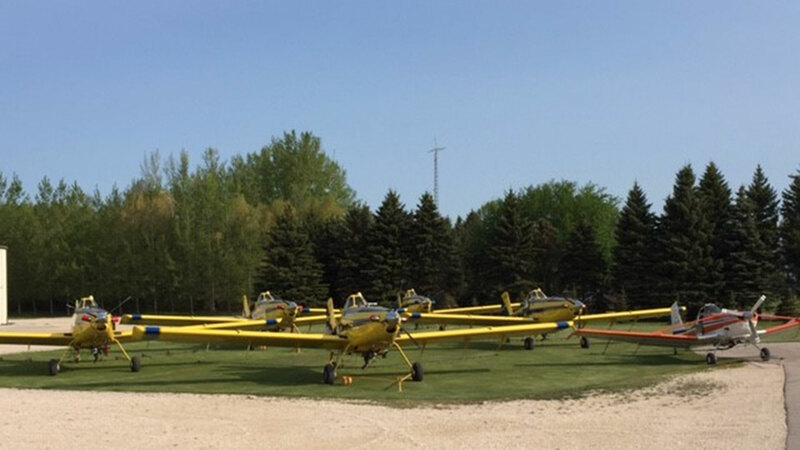 Jonair is part of a group of over 30 aircraft from Manitoba, Saskatchewan and Alberta that head to Quebec at the end of May to participate in a spray program to control the spruce budworm — a moth whose caterpillar feeds on trees. The Budworm Program aims to maintain tree survival, preserve the annual allowable cut, and in some instances protect wildlife habitat and recreation value. Biological control using Bacillus thuringiensis (Bt) has made this program highly successful in reducing the budworm populations. Jonair is dedicated to keeping our Canadian forests green and healthy. Agronomy is a branch of agriculture that studies the principles and practice of soil, water and crop management. Our agronomists are knowledgeable about the latest technology and chemistry and can provide advice on the application of crop inputs for crop enhancement and protection. Jonair agronomists continually scout fields to monitor for weeds, disease and insects throughout the stages of crop growth and advise growers of any issues during the growing season. Our agronomists are also available to provide local farmers with assistance on future crop rotation planning. Jonair carries a full line of crop inputs from major manufacturers, including top yielding soybean, canola and corn varieties along with a wide range of seed treatments. 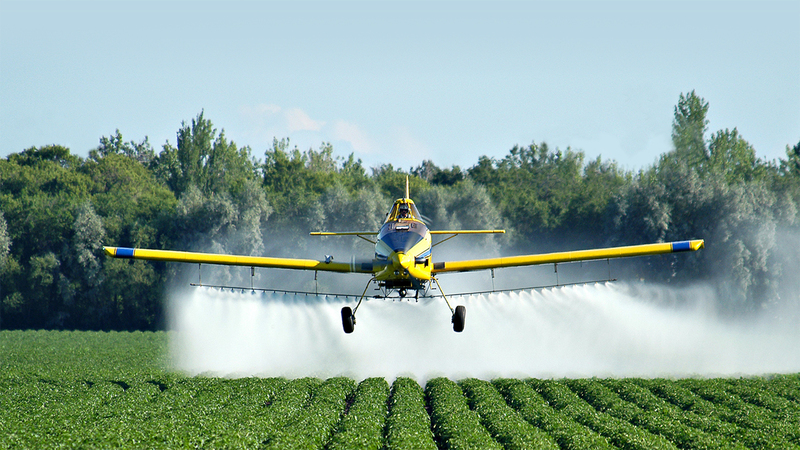 Our crop protection products include herbicides, fungicides and insecticides. 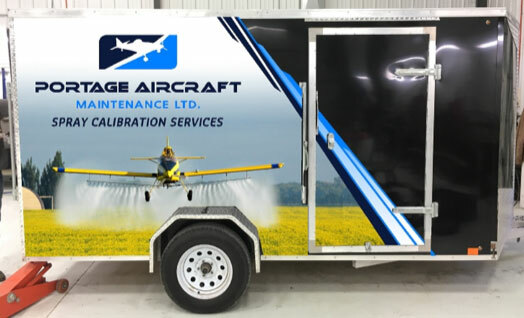 Portage Aircraft Maintenance is a Transport Canada Approved Maintenance Organization (AMO) specializing in agricultural aircraft, from small piston to turbine powered Air Tractors. 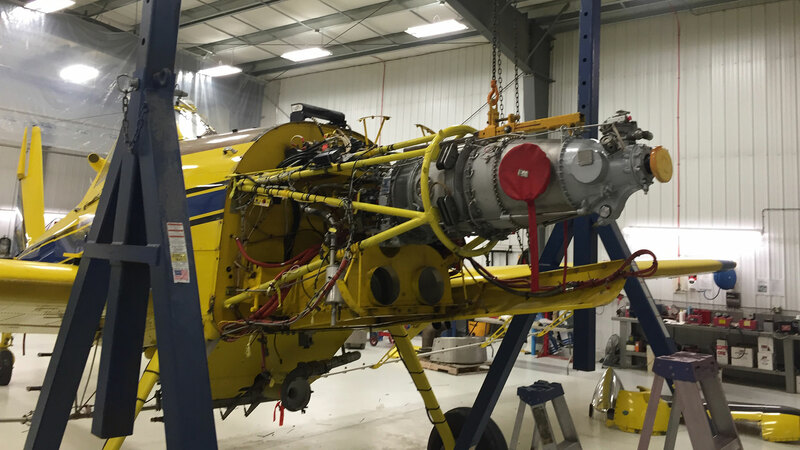 Our 6,000 square foot maintenance shop can accommodate your Air Tractor, Cessna or private aircraft. We employ three licensed AME’s and two apprentices who are all credited members of CAMEA. Recertifications include ELT, pitot static, altimeter, etc. 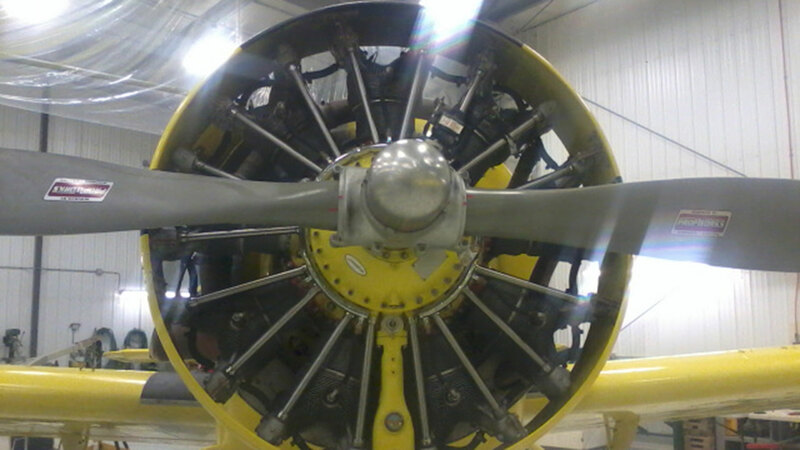 We also stock an extensive inventory of Air Tractor parts and can assist you with new Air Tractor setups, pre-purchase inspections, aircraft imports, GPS sales and installs. Our staff are also trained through MOPIA and can provide air conditioning recharging. Visit our shop for all your maintenance needs. 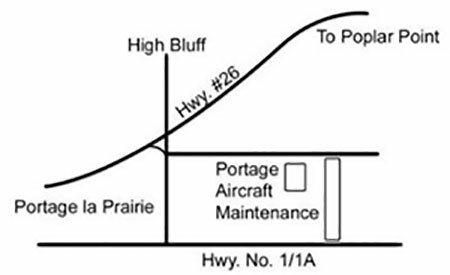 Fly into Portage Aircraft Maintenance on our 3,000-foot paved runway or drive six miles east and one mile north of Portage la Prairie. 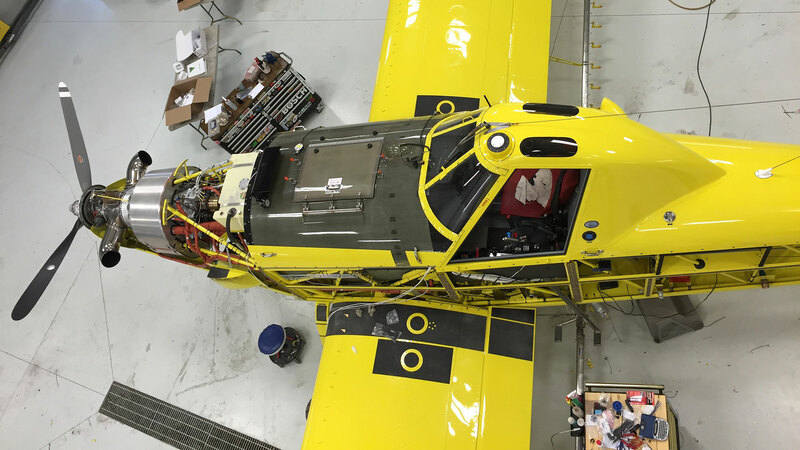 Need to calibrate your aircraft for the next aerial application season? Operation S.A.F.E. Analysis Gear has come to Portage Aircraft Maintenance. Our staff includes two analysts trained in the new Accupatt and DropletScan systems. These systems work together to provide pattern testing, which determines optimum nozzle positioning for smooth application and also supplies a complete droplet spectrum analysis. 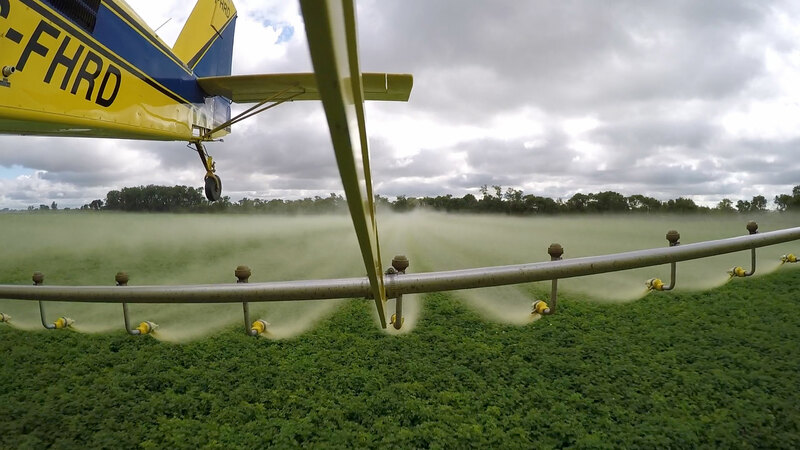 Calibrating your aircraft is beneficial for drift potential evaluations, actual field spray pattern overlap studies, canopy deposition studies, adjuvant impacts on spray patterns, tank mix droplet and pattern studies and aircraft type and setup. Call us for workshop dates or make an appointment for us to come to you. Portage Aircraft Maintenance is your local Intermediate Bulk Container (IBC) leak test and inspection facility. We can inspect and certify tanks up to 3,000 litres, and if more than one tank is inspected on the same day, discounts are provided for additional tanks. If you can’t come to us, we'll come to you!